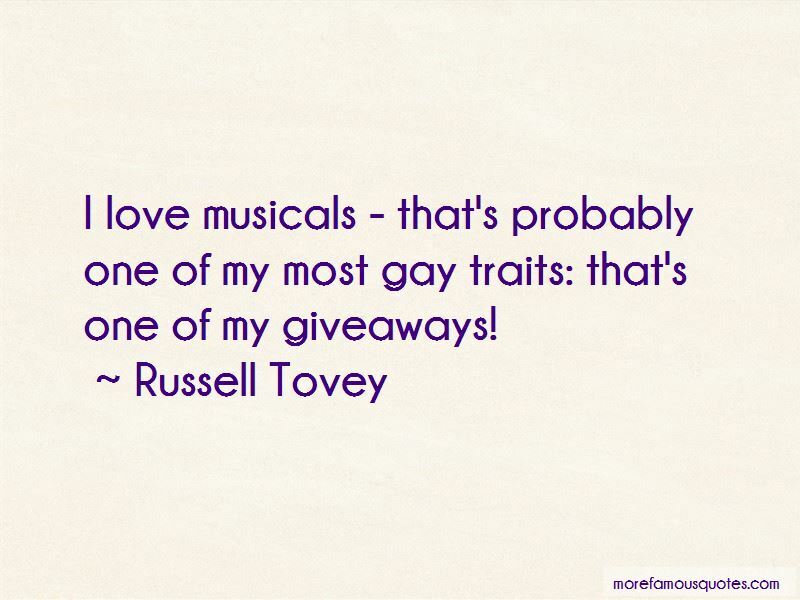 Enjoy the top 49 famous quotes, sayings and quotations by Russell Tovey. At Christmas time, I spent an extortionate amount of money on Buzz Lightyear toys, baby clothes, Disney cars and the like. 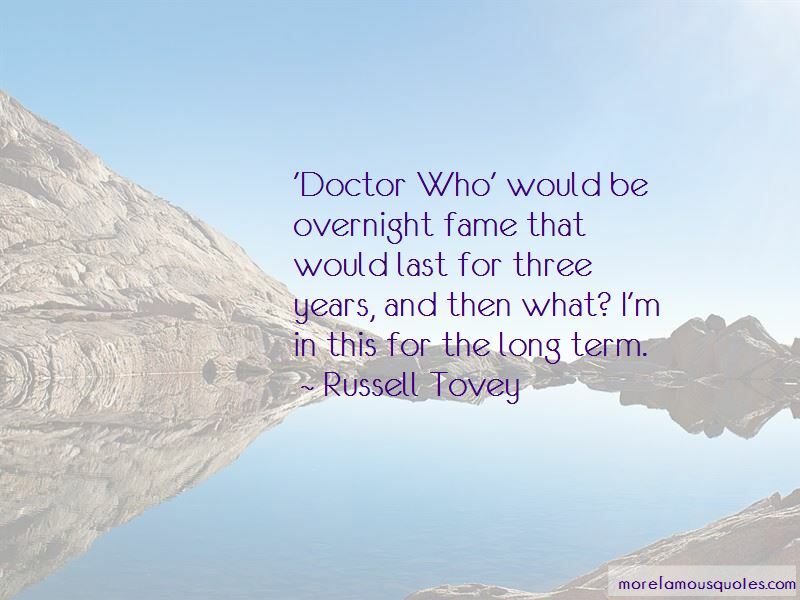 'Doctor Who' would be overnight fame that would last for three years, and then what? I'm in this for the long term. I grew up in Essex, and all my life I wanted to live in London - now I do. I feel very privileged to be able to live here. I love my personal life and having a social life. And I didn't ever want to have to compromise. I'd love the career of Julie Walters. As a man. In New York, the trains run all night, and the cabs are so cheap. Every character I play is straight, which is unique, my agent says, because it's not really been done before that someone who is completely out is able to play straight roles. I came out to myself when I was about 15 or 16, and to my parents when I was 18. When you come out to your parents, that's when it's properly official. I was so envious of everyone who went to Sylvia Young Theatre School. I wanted to go, but my dad flat-out refused. He thought I'd become some tapdancing freak without qualifications. And he was right in a way. I'm glad I didn't go. That might have changed. My big advert was for ketchup. I come home from school, cook my brother and sister their dinner, ride my bike in the garden. Remember that one? People cried at that advert. It won awards. I was 12. 'Only Fools and Horses' was just one of those shows that could keep on going and going, that excited me. 'Hartbeat with Tony Hart' and 'Rolf's Cartoon Club' were my huge favourites, though. I used to love drawing and always sent work in to the show. Sci-fi fans are the best fans you can have. You could be doing the worst piece of tat which might have a robot or vampire in, and some people will become obsessed by it and know every little detail. 'Being Human' has crossed over from sci-fi fans to being a drama that everyone can enjoy. When I was ten, I spent a school holiday watching a lot of films: 'Dead Poets Society', 'Stand By Me', 'Home Alone' and 'The Goonies'. It completely inspired me. I told my parents I wanted to become an actor after that. 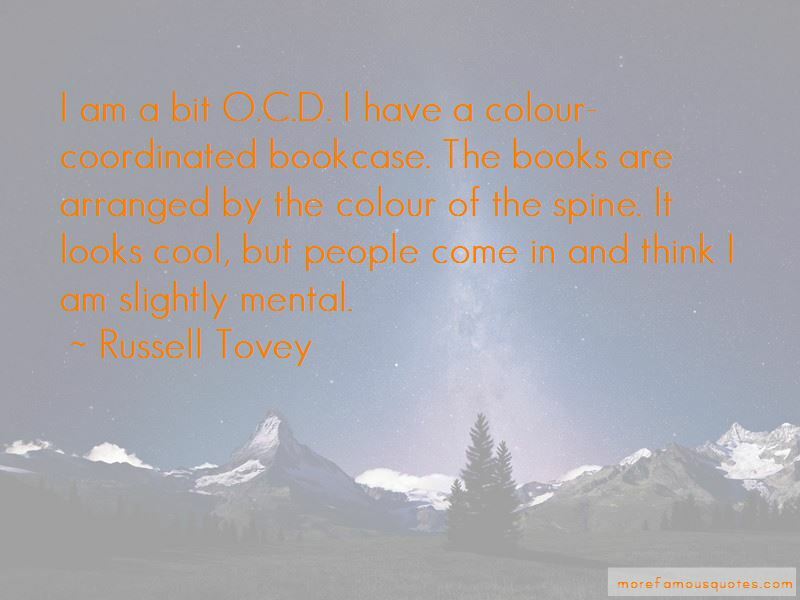 Want to see more pictures of Russell Tovey quotes? 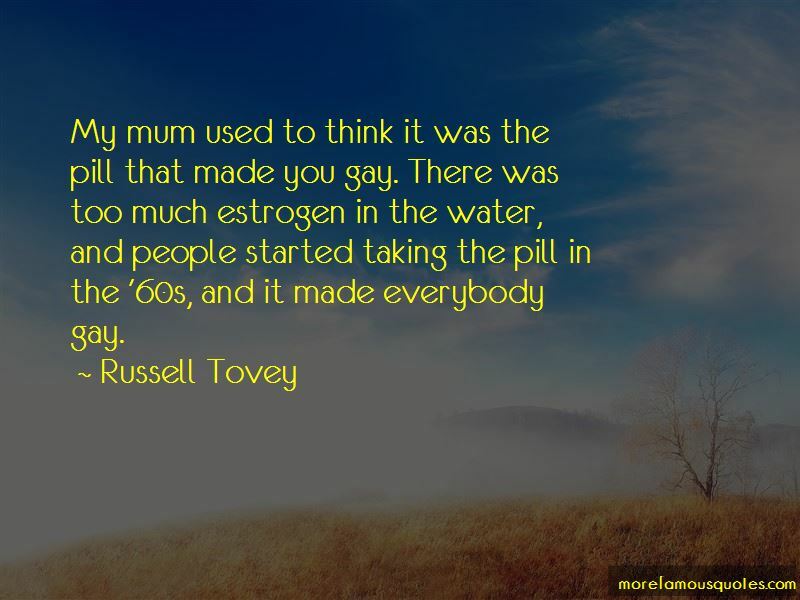 Click on image of Russell Tovey quotes to view full size.